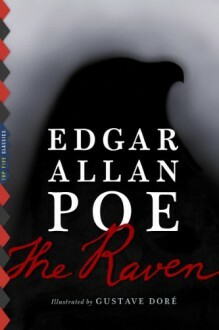 This Top Five Classics illustrated edition of Edgar Allan Poe's THE RAVEN includes:• All 25 illustrations by Gustave Doré for Harper & Brothers' 1884 edition• An informative Introduction• A detailed Biography of Edgar Allan Poe• The illustrated version and text-only version of the full poemNo poem has ever received the kind of immediate and overwhelming response that Poe's "The Raven" did when it first appeared in the New York Evening Mirror on January 29, 1845. It made Poe an overnight sensation (though his great fame never brought him much wealth) and the poem, a powerfully haunting elegy to lost love, remains one of the most beloved and recognizable verses in the English language. The illustrations that accompany this Top Five Classics edition are reproductions of the renowned French artist Gustave Doré's steel-plate engravings created for Harper & Brothers' 1884 release of THE RAVEN. It would be Doré's last commission as he died shortly after completing the 25 illustrations in January 1883. His illustrations would become famous in their own right, evoking as they do the lyrical and mystical air of Poe's masterpiece. It's worth pointing out that, according to my Horrible Histories book on the Saxons, the raven was the Saxon messenger from the devil, arrived to foretell a person's fate, as described in Robert Southey's "The Devil's Due".